Huge news! 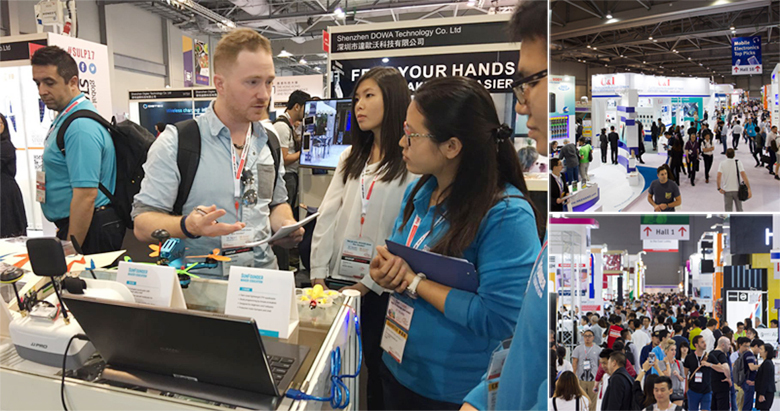 The SunFounder has just exhibited in the Global Sources Mobile Electronics Show (April 2017) in Hong Kong lately. 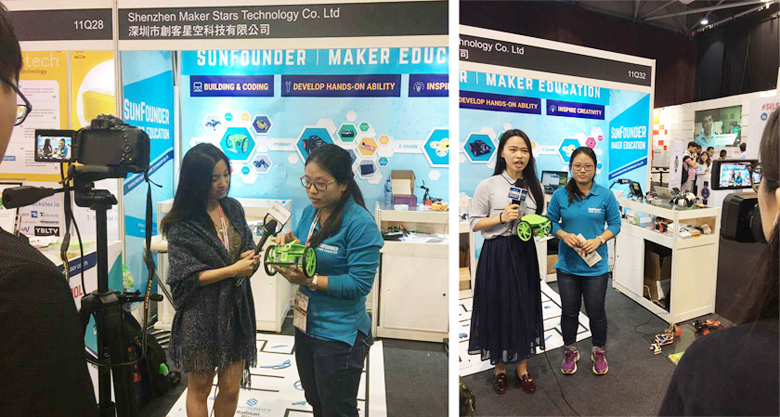 We made a huge success on the fair and received high praise from customers, education practitioners, and distributors. Our robot cars were running on the map, the robotic arm repeating movements set with the red gripped which was traced by the camera on another robot car (if we did not prop it, it will definitely going after the ball! Hush! ), and the FPV lens providing vivid image when people passed by. Our booth was always popular and we're so busy answering questions and showing the items by video, description, real staff, and every other means. Though tired, we felt pretty thrilled and satisfied when visitors got the information they wanted. This show is awesome and we appreciate the organizer Global Sources much as well as all people on site. Good job everybody! 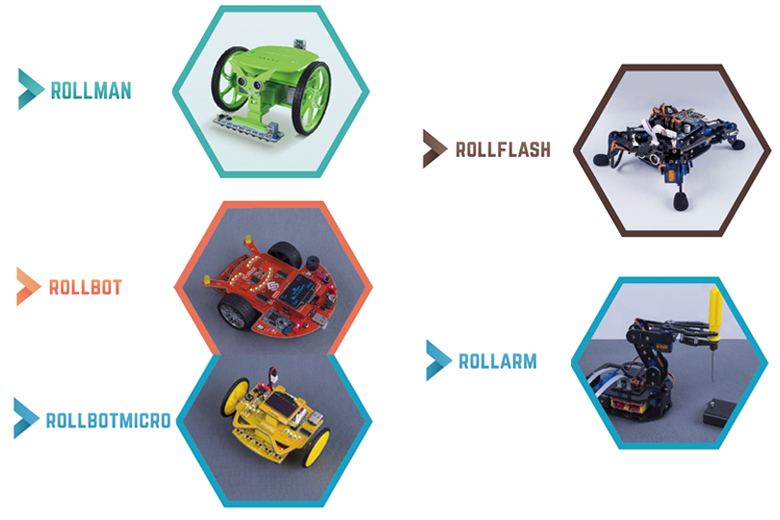 Check the details for each: Rollman, Rollbot & Micro, Rollflash, and Rollarm. 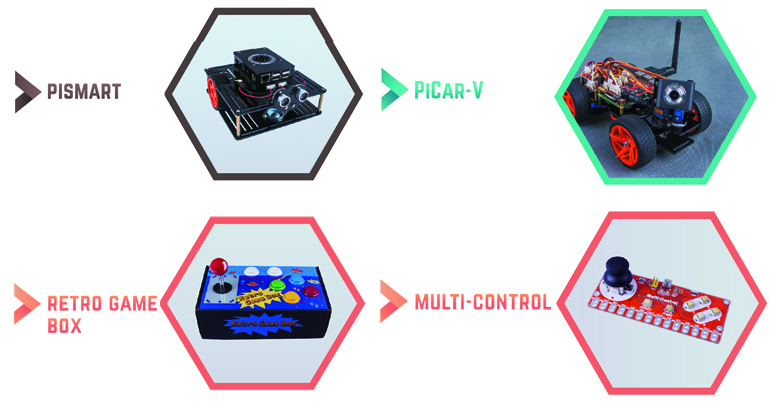 Details: PiSmart, PiCar-V, Retro Game Box, and Multi-Control. Details: E-Shark, SFX 190, and SF17 wooden plane. 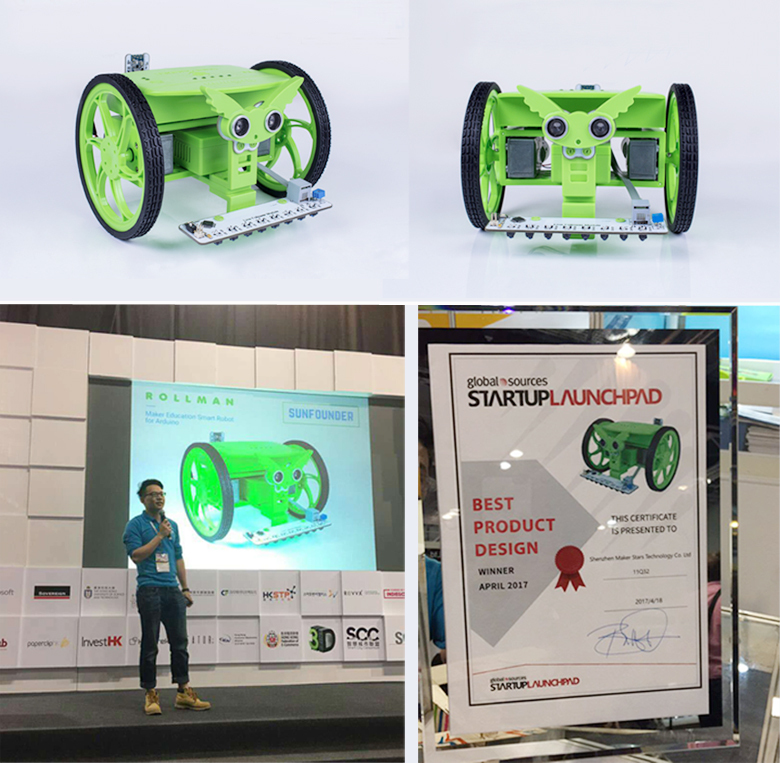 Specially, the DIY STEM robot Rollman was highly focused and the organizer approved it as the Best Product Design! Our Marketing Manager was also invited to give a speech about this modular robot in the forum, which attracted a large audience sitting and standing nearby. 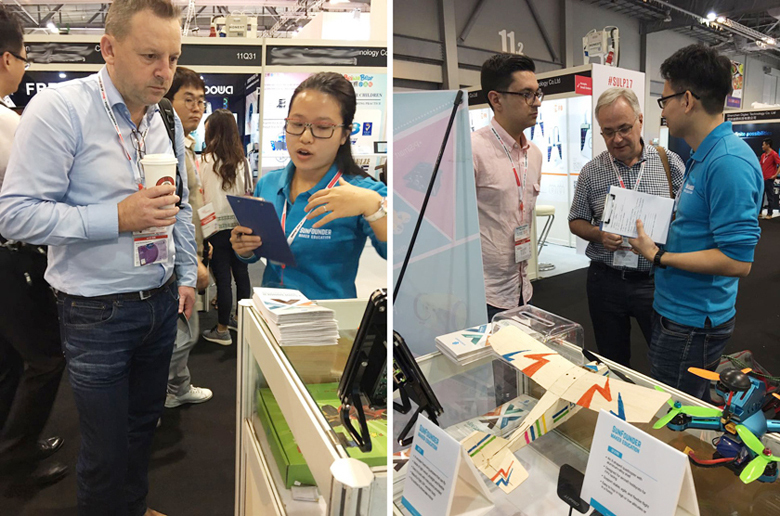 To sum up, being an exhibitor in this show gives us a great opportunity to talk with customers and distributors from every corner of the world face to face, and we gained a lot about how to show our products and grab people's attention at first their sight of our booth. In addition, suggestions have been provided for improvement, which is precious for our work and future projects. No matter how difficult it is, we'll spare no efforts to provide good kits ad products as well as service for beginners and hobbyists. After enough practices, you can be as skilled to make your own creations. Everyone can be a maker. And we are your helper! Leave your comments below for any ideas.